The world can be a dangerous place full of many perils that can threaten your well-being -- or, indeed, your life! And unfortunately, some of these perils can even be present in what’s supposed to be the safest place around: your home. And should a short happen in these devices, we’ll get a nice shock -- or worse! Of course, you don’t have to feel nervous at the thought of an electric shock every time you go to make your coffee or hop on your computer. 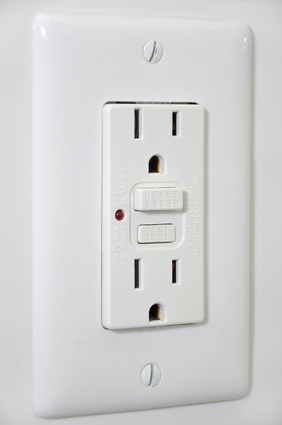 Instead, you can have a ground-fault circuit interrupter (GFCI) installed in any outlet, and this handy installation will help keep you safe from shocks! Should this disturbance in the electric flow happen, you could receive an electric shock -- or, in the worst-case scenario, a full-blown electrocution! This could even lead to another deadly outcome: a house fire! You can avoid these potential disasters with a ground-fault circuit interrupter! As soon as this installation detects that the electric flow has left the circuit and could, therefore, result in a potential disaster, it shuts off the flow of electricity, thus keeping you and your home protected. A less harrowing though undeniably expensive result of the aforementioned problems is that your electronic devices could get fried. After all, just as a sudden jolt of electricity can harm you, it can harm your devices -- leaving them fried and leaving you to handle the expense. Of course, as anyone who’s ever had to replace a television or computer can tell you, these electronics can be expensive -- necessary these days, but expensive. You can avoid this expense the same way you can keep yourself safe: by having GFCI’s installed in your outlets. Stopping electronic problems the very second they happen, GFCI’s will help to prevent you from having to make any surprise (and costly) replacements for your electronic devices. If you are looking to have GFCI’s installed or worked on in your home or business, don’t try to handle the work yourself. Doing so, you’d just put yourself at risk of sustaining an electric shock through improper installation. Avoid the shock by having the work handled by an experienced electrician. And here about the Alamo Heights area, that should be none other than your local San Antonio electricians at John Jones Electric. With over 30 years of experience in the business, we at John Jones Electric have the expertise and know-how to get your GFCI installed correctly, ensuring that you can enjoy the most reliable safety that GFCI’s can provide!